Alympus is the new jailbreak tweak to beat. iOS engineers must keep their eyes on the jailbreak scene. In the past, popular jailbreak tweak Auxo showed what iOS’s approach to multitasking should be like years before Apple made its best ideas part of the core operating system. Let’s hope this pattern holds with Alympus. 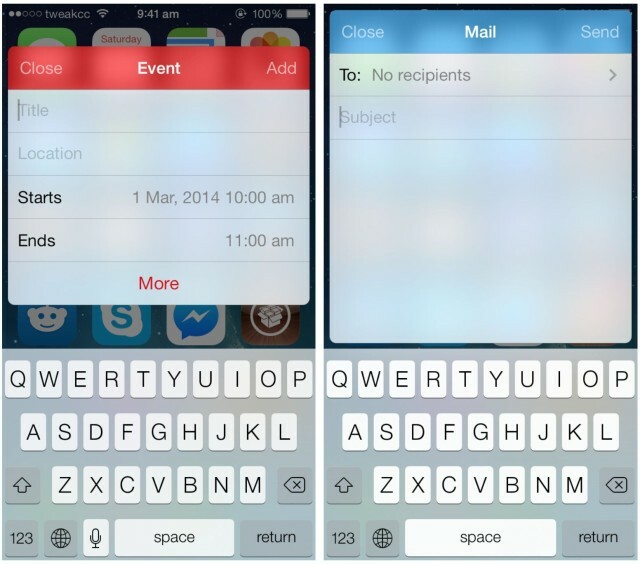 It’s a new tweak that radically improves, for the better, iOS 8 multitasking. When iOS 9 rolls out to the public this fall, it’ll be iPad users that appreciate it most, thanks to the many improvements Apple has made to multitasking. One of the biggest is Split View, a feature that’s exclusive to the iPad Air 2, which lets you run two apps side-by-side — just like you would on your Mac. Split View lets you read articles in Safari while composing an email in Mail, enjoy a novel in iBooks while taking notes in the Notes app, and talk to friends via iMessage while organizing your schedule in Calendar. 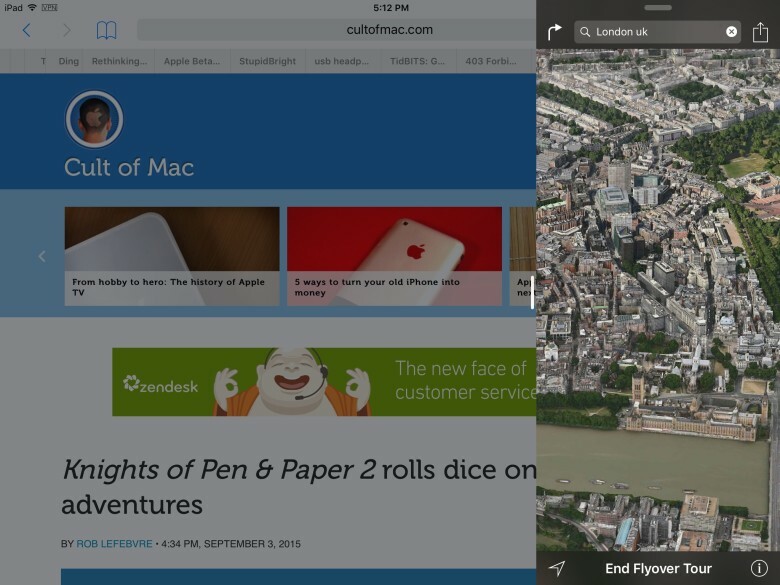 But is Split View as game-changing as it looks at first glance? You bet it is. 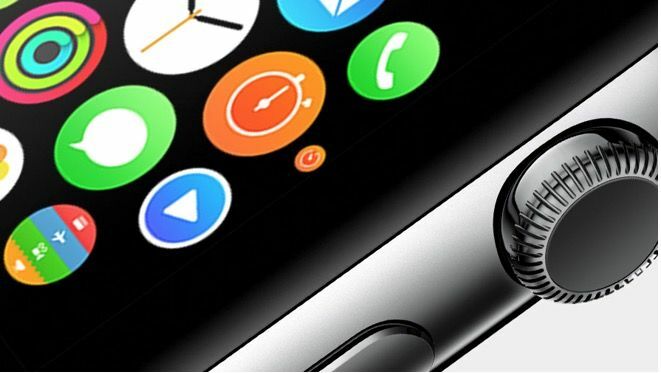 Wondering how multitasking will work on the Apple Watch? Just tap twice. Here’s how it works. Almost from the start, iPad users have begged and pleaded with Apple to add a missing feature: split-screen multitasking. Split-screen multitasking is the ability to run two or more apps simultaneously, side by side, just like you can on a desktop computer. But iOS, of course, is the antithesis of traditional multitasking. You can have only one app on the screen at a time. That may be about to change. Apple is rumored to be adding multitasking to the iPad in iOS 8, which is expected to be shown to developers at next month’s Worldwide Developer’s Conference. With split screen multitasking, you could write a paper in Pages on the left while researching in Safari on the right. You may even be able to drag and drop items between the two apps, like photos or chunks of text. For some, this would be nirvana. 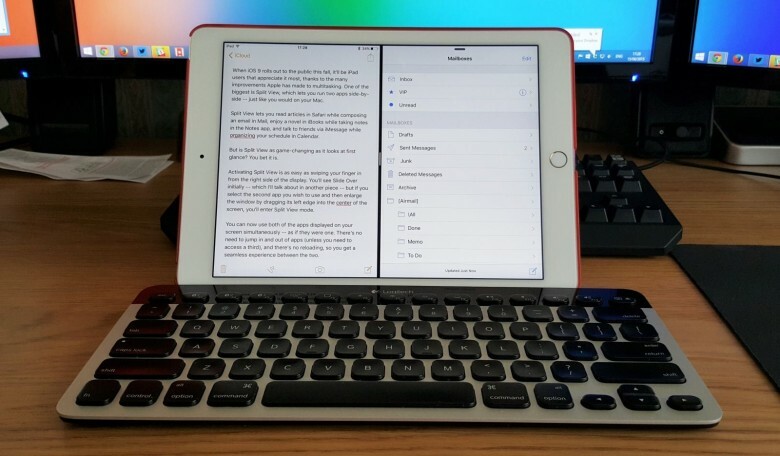 Better multitasking would turbocharge the iPad, especially for work, right?. Microsoft loves to crow about the Surface 2 tablet’s ability to multitask, which in Redmond’s eyes makes the tablet appear more suited for work than watching cat videos. Some iPad users have been lobbying for it for years. The feature has been the subject of plenty UI mockups, design videos, and jailbreak tweaks. My iPad Air is jailbroken, and for the last week I’ve been using a new jailbreak tweak called OS Experience, which allows me to have split-screen multitasking. I’ve tried using it as part of my daily workflow. And what I found was surprising. 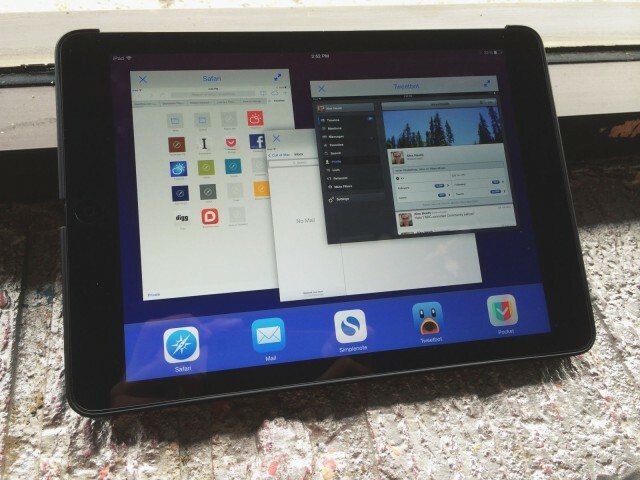 What would it look like if Apple let you work in multiple apps side by side on the iPad? Apple’s competitors like to poke fun at the iPad’s lack of desktop-class multitasking. But plenty of people are using the iPad to get work done, which begs the age-old question: is less really more? Imagine OS X’s Mission Control ported to the iPad, and you’ve got the jailbreak tweak OS Experience. It’s an ambitious idea that is executed with surprising finesse. The jailbreak tweak called Auxo did card-based app switching in iOS 6, and then Apple came along and fully implemented the idea in iOS 7. Auxo, which started as a concept that went viral online, was suddenly obsolete. A successor to Auxo has been in the works for quite some time, and now it’s available for jailbreakers to install in Cydia. Auxo 2 doesn’t reinvent iOS 7 multitasking, but the tweak builds upon it by adding more controls and customization. 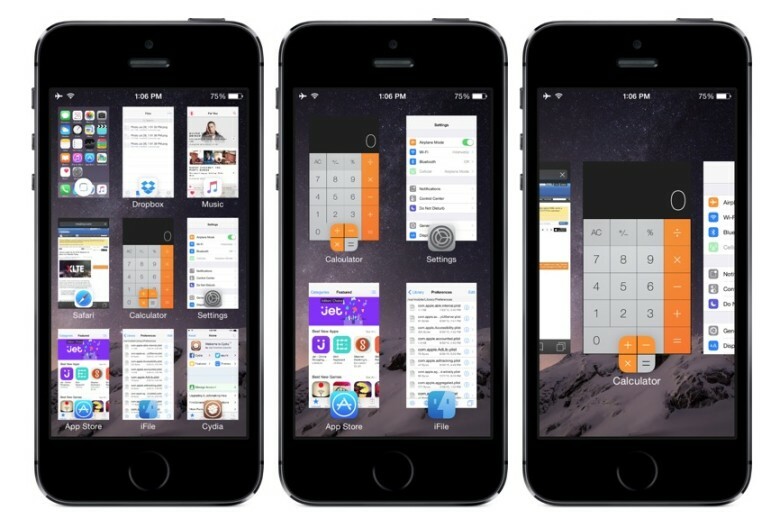 ProWidgets Is An Impressive Widget Platform For Jailbreakers, But Does It Solve A Problem? There have been several jailbreak tweaks over the years that have attempted to revolutionize the concept of multitasking in iOS. Few, if any, have come as close as ProWidgets, a new widget framework that’s available in Cydia now. I say close because I don’t think ProWidgets solves a better way to multitask on the iPhone and iPad. However, it is a valiant effort that allows other developers to create third-party widgets that live outside of the traditional app experience. 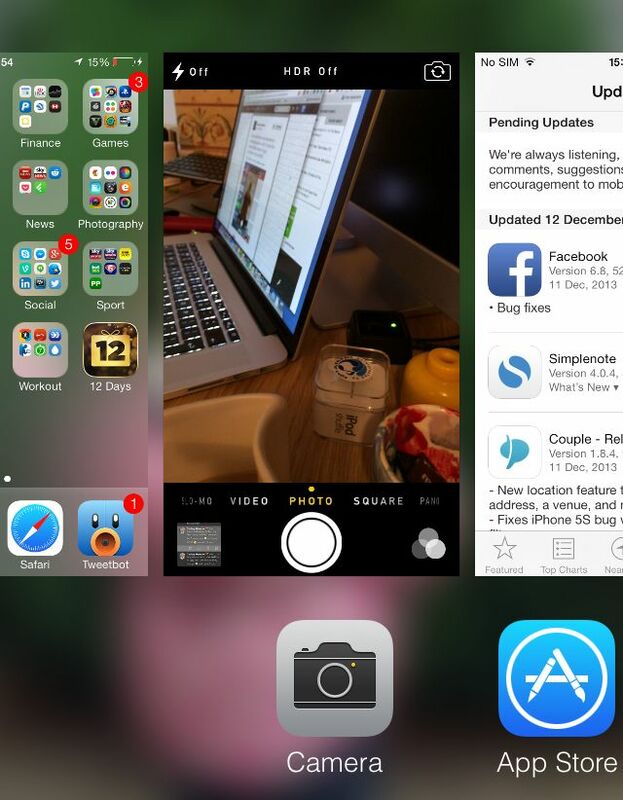 Did You Know You Can Take A Picture While Multitasking In iOS 7? Here’s a pretty nifty feature you probably didn’t know it about in iOS 7: it’s possible to take a picture using your iPhone’s camera while looking at the multitasking screen. Here’s how to try it out for yourself. Command-Tab is probably seared into your muscle memory to switch between running applications while on your Mac. I know it is permanently stuck in mine. 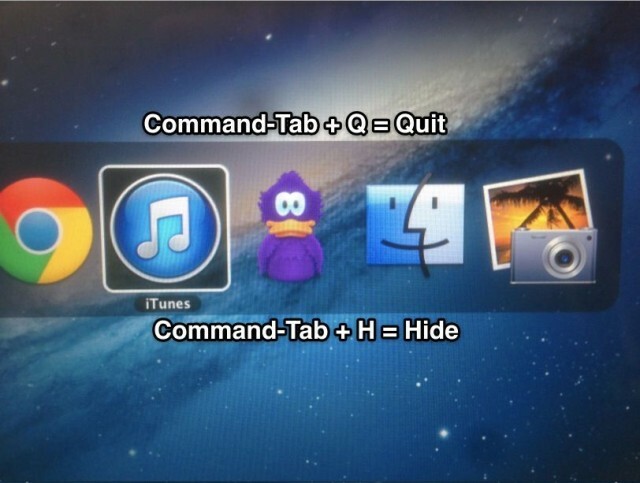 You probably also know that Command-Tab can also be used to quit apps as well, right? And hide apps? To be honest, I knew the first tip, but not the second one, which (to me) makes it worth a share.